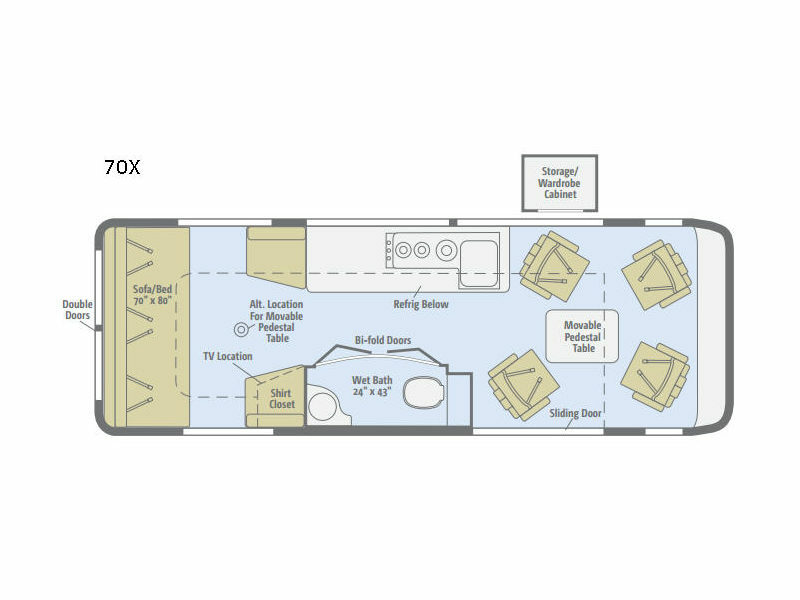 You will love the versatility of this Winnebago Era class B diesel coach. It is perfect for dashing across town, or for a weekend get-a-way. You will find all of the basic amenities inside to keep you comfortable while you travel. There is seating for four up front when you swivel the two front ultraleather captain's chairs around and include the two captain's chairs behind each front seat creating a nice conversation area. A moveable pedestal table can be used in front between the four chairs, or added to the rear of the coach for dining. 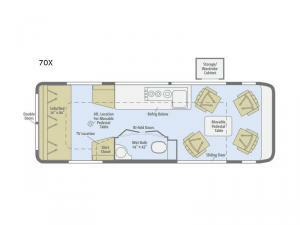 You will have the convenience of a wet bath, and a kitchenette including a three burner cook-top plus single bowl sink. In the back, enjoy a sofa that converts to a 70" x 80" bed at night with plenty of storage for your things throughout! You are sure to appreciate the powered patio awning and exterior speakers for those warm sunny days when you want to just relax to your favorite music outside kicking back in the shade!